The regulator has appointed two Executive Directors and two Non-Executive Directors. The Securities and Futures Commission (SFC) has announced it has appointed two Executive Directors and two Non-Executive Directors on Friday. The Financial Secretary has re-appointed Brian Ho and Keith Lui as Executive Directors for a three-year and one-year term respectively. The new terms will be effective from August 28, 2018. 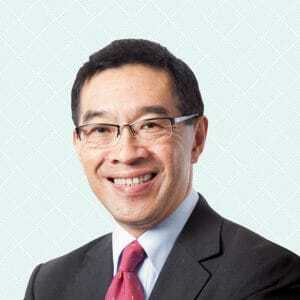 Ho will continue to be the Hong Kong regulator‘s Executive Director of the Corporate Finance Division. He has held the position since 2006. Lui, who was also appointed in 2006, will remain the Executive Director of the Supervision of Markets Division. Commenting on the re-appointment of Ho and Lui, Ashley Alder, the SFC’s Chief Executive Officer, said: “Brian and Keith have made significant contributions to the SFC since joining the Commission over two decades ago. The Financial Secretary also appointed James C Lin and re-appointed Dr. William Wong Ming-fung, SC. Both will work as Non-Executive Directors for two years, effective from August 1, 2018. Dr. Wong was first appointed to the position of Non-Executive Director of the watchdog at the beginning of August 2014. Lin will be replacing Teresa Ko Yuk-yin, who was first appointed to her current role six years ago on August 1, 2012.